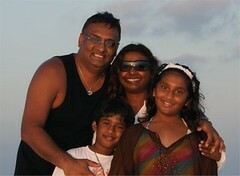 We are a family of 4 with the children aged 9 (Dillan) & 11 (Alisha). This was our 3rd visit to the Maldives. On our first visit we booked 7 nights on Meeru with 3 nights in Dubai. Our second visit was a 2 center Meeru/Bandos holiday. Our original destination was Sharm in Egypt, but that all fell through thanks to XL Airways. Luckily the company we booked through are ATOL protected & everything was paid on Visa. We've already received a refund for the hotel costs (minus cancellation fee of Â£80) but the flight costs (nearly Â£1700) will take anything between 3 - 6 months. We tried looking for new flights to Egypt but all the airline companies decided to hike up their prices to try & profit from the demise of XL Airways .... This is really disgusting of the airline companies. The new quotes to Sharm were coming out at Â£3200 for the 4 of us which was Â£1000 more than what we originally paid. 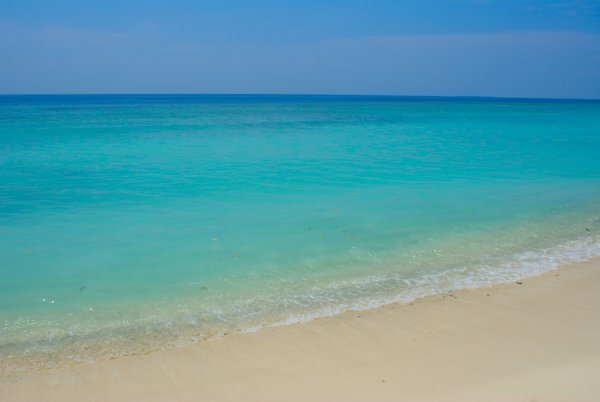 For that price we could have a holiday in the Maldives .... so we did. We got quotes for First Choice, Hayes & Jarvis, Kuoni, etc. 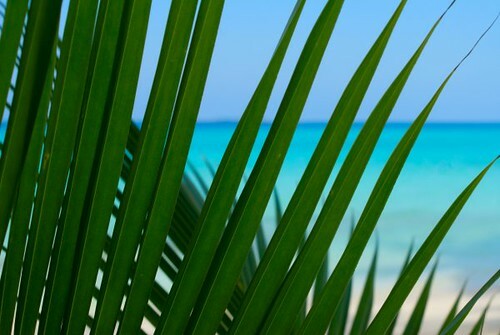 We eventually found the best quote came from Oyster Travel (via Kuoni) for Â£3200 for the 4 of us flying Sri-Lankan airways direct from Heathrow. Our return flight was via Colombo but that didn't bother us. 4 days before flying we get a call from Dillan's school ... He had twisted his ankle playing cricket. The swelling was really bad and we took him to A&E just in case. Luckily his ankle wasn't broken but the doctor advised he kept his weight off it for 10 days!!!! He was given the OK for the holiday but was given crutches to use. We contacted Sri-Lankan airways to ask for assistance who were brilliant. We got to check-in at business class thus jumping the queue. We didn't get a buggy to the departure gate but we did get a wheel chair which was fine. We got priority boarding & Dillan was well looked after by the excellent staff. The quality of service on Sri-Lankan airways was brilliant. The food was delicious (which is rare for a airline) & the drinks were free. The leg room was excellent & we all had seat back TV's (note that these were not pause/rewind but showed 8 movies repeated 3 times). The flight was not full so we got a chance to spread out which was great. The movies were not brilliant but as it was a night flight it didn't really bother us. It was Ten hours into the flight when we started to spot the Atols ...... Breath taking. On arrival to Male, Dillan was again spoilt as he was practically airlifted out of the airplane via his own exit .... It was like something out of Thunderbirds. He was loving every minute of it. We didn't even have to queue at the passport control as we used the desk that the flight crew use. I had booked a seaplane transfer for Â£26 each (one way) as a surprise for the Maxi & the kids. Should have seen their faces when we were directed to the seaplane desk instead of the cafe area. Kuramathi is 1.5 hours by boat compared to Meeu's 50 minute. 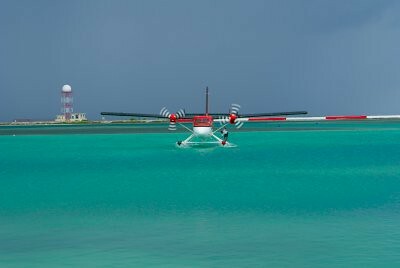 The seaplane to Kuramathi should take no more than 20 minutes. We waited 1 hour at the Sea Plane terminal. When we eventually boarded the plane, the heavens opened. Notice that even with the storm brewing overhead, the Maldivian sea still keeps that topical colour. We didn't take off for 20 minutes. To be honest, we didn't enjoy the sea plane transfer as we found it far too noisy. The views were disappointing due to the weather & we had to do 2 drop offs to other islands before we reached Kuramathi. It took us 3 hours to reach Kuramathi from arrival at Male. But, it was the best choice of transport as I later found out that even though the boat transfer had got to the island before us, it was a awful journey due to the weather with 90% of the guest being sea sick. Like Meeru, the sea plane drops you off on a floating pontoon where a Dhoni boat picks you & your luggage up. Didn't really get a wow factor stepping onto the pier as this was our 3rd visit to the Maldives, but we were very exited to see 2 large 3 ft Black Tip Reef Sharks & a spotted eagle ray in the waters. Reception gave us the usually (but much needed) cool mint towels & fruit cocktails like Meeru. We filled in our forms & were given the key to standard room 142. As budgets were tight, we were happy with our standard room. They are not like the ones on Meeru as these are all beach facing. 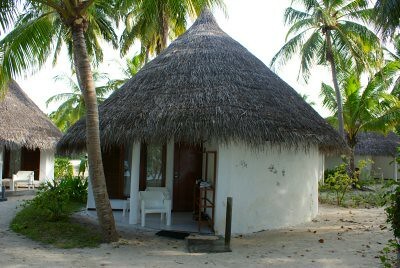 I emailed Kuramathi to ask for one of the standard rooms as close to the beach as possible. We were not disappointed .... The beach was only 6 meters from our front door. I did arrange for a bottle of chilled rose wine to be in our room for when we arrived ..... No sign of this. The suitcases didn't take long to arrive but the guys that delivered them were so obvious when it came to waiting around for a tip. They just take your money & donâ€™t even say thank you. I gave $6 to share between the 3 of them. Standard Rooms looked like beach huts and were clean & simple with a large indoor shower. Two single beds were already in our room for the kids. There was a fridge but there were no drinks in there which suited us fine as this is where we stored our water bottles. Just to also mention that 2 days later we found a complimentry bottle of red wine from the management in our room. Guess it was their way of appolagising. The Village (East) which is where the sun rises. The Blue Lagoon (West) which is where the sun sets. The Village is the cheaper end, the Blue Lagoon the more expensive end and the Cottage & SPA is some where in between. We took the B&B option so only had breakfast in the Village. The rest of the time we ate between the Thai Restaurant & the Indian Restraunt. We also ate at the Mongolian BBQ one evening which was superb. Kuramathi has a wondeful pool complete with 2 jazzuzis & a waterfall feature. The dissapointing thing being that you canâ€™t see the ocean as it is centrally located on the island. My self & Maxi were more than happy to sit on the beach & admire the amazing scenery, but our children had other ideas. After 2 days Dillan was off his crutches running around (as children do). 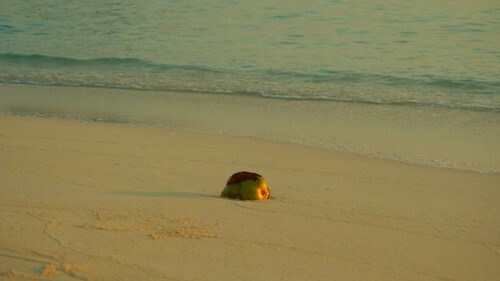 It must of been the Maldivian sun. It wouldnâ€™t be a holiday without Dillan performing one of his amazing King-Fu dives into the pool. There are some people that say that the Maldives is a adult only destination. What total rubbish .... my children love the Maldives & prefer it over Egypt & Orlando. 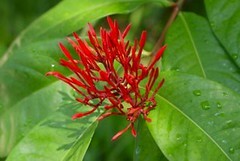 Itâ€™s the nature that keeps them on their toes with something to see at every turn of the head. 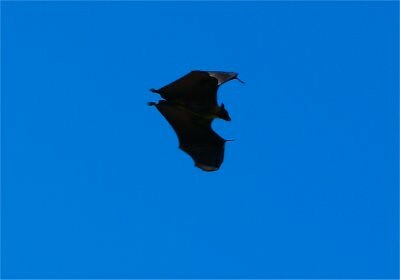 If itâ€™s not fish or flowers, itâ€™s a bat, a shark, a Stingray ... the list goes on. Alisha & Dillan were never bored. 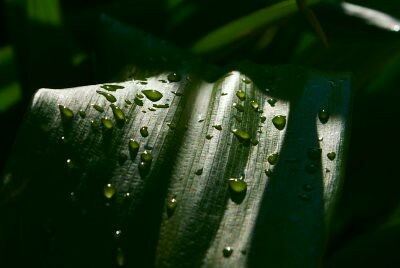 The lush green plants ever are amazing. 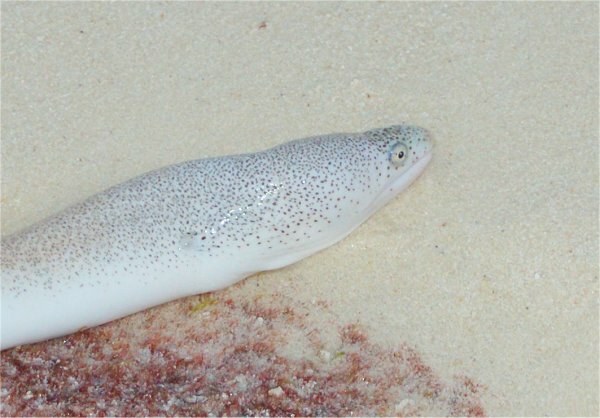 Whilst walking along the beach one day we came across this peppered moray eel playing in the shallows. I must mention that we did see rats a couple of times. Although this petrifies many guests, I canâ€™t really see what the big deal is. 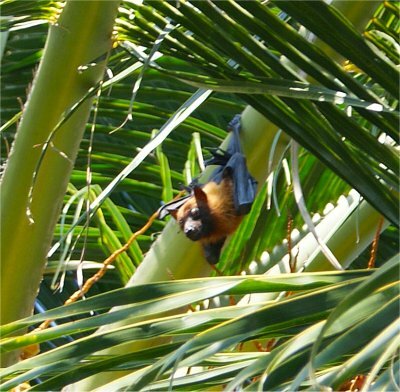 Rats are probably found on every Maldivian Island. 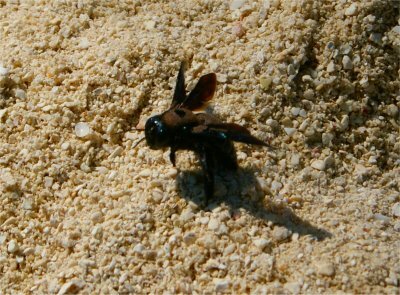 Don't mess with the bees .... they're huge & a sting from one of these is going to hurt!!! 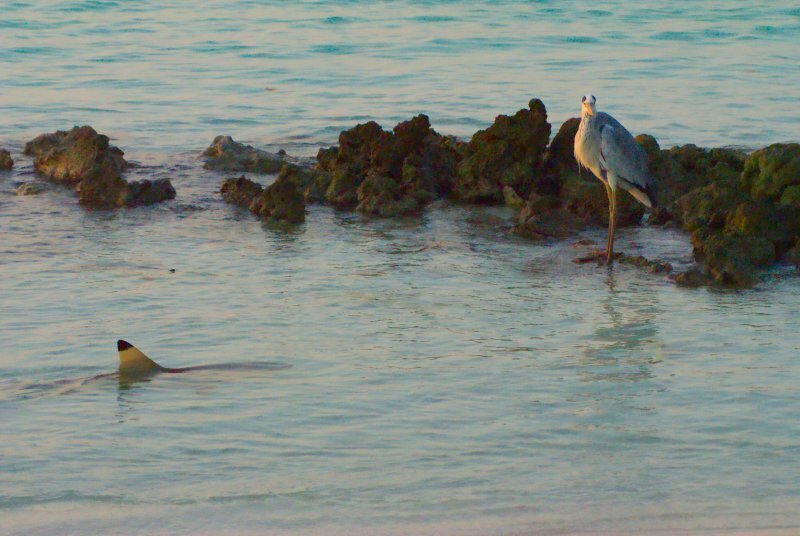 I got up one morning to get some sunrise pictures when I spotted 4ft black tip reef shark eyeing up this heron for breakfast. 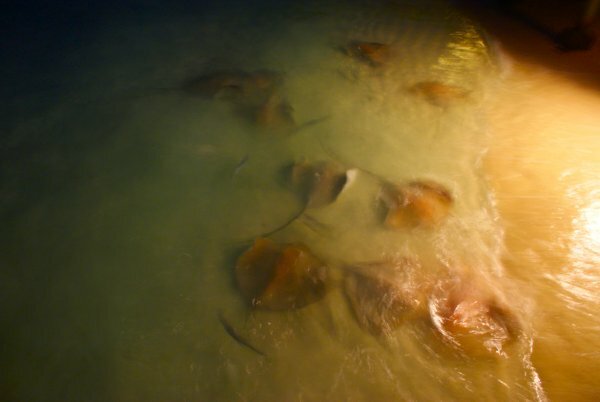 Everyday at 6:30pm Stingrays would gather at West Blue Lagoon side of the island to be hand fed by one of the staff. We found this quite mixed. Some staff were very friendly, other were very misrable. I tipped a few bar staff on the first night but the service never got better for us, so I stopped tipping. As we were on B&B, we always tipped at all of the restaurants we ate at. One of the main reasons for our return to the Maldives was for the diving. I've only ever dived in Egypt (and once in Mauritias but that was a trial dive on my honeymoon). Diving in the Maldives takes you to a whole new level. I was hoping to take lots of underwater pictures using my Sony T30 within itâ€™s own underwater case, but disaster struck on my first dive. After putting on all my equipmentment & jumping into the sea for the first time, the impact must have flipped the camera case catch open some how. The camera was ruined as sea water flooded the compartment. You could can not imagine how upset I was about this. On a positive note, I completed my Nitrox course & I am now qualified to dive using Nitrox Air (longer bottom time and doesnâ€™t leave you feeling exhausted after 3 dives). 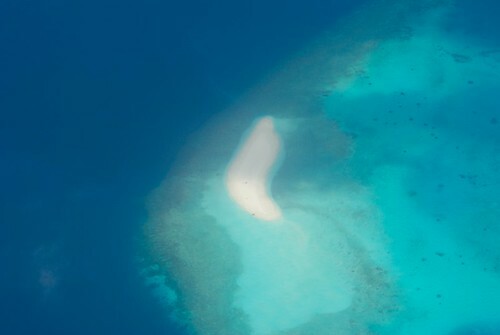 Kuramathi is very popular with divers as there is a channel that passes the island where Hammerhead Sharks pass every morning. The dive to see these amazing sharks is a 6am start. I did 2 of these dives but saw nothing on the first, and spotted 1 Hammerhead on my 2nd second dive. Did I ever tell you the story about the one that got away? Whilst sitting in the Fungi Bar one evening sipping a few cocktails (as you do), a fella by the name of Mark came over to me & asked if I was Chas & if I was still interested in going Sports Fishing????? How the hell did he know my name was Chas & how did he know that I wanted to go Sports Fishing. The answer .... he had read a question I left on trip advisor a month back asking if anyone else was going to Kuramathi the same time as us and if anyone was interested in buddying up to dive or may be go Sports Fishing. He also over heard me introducing my self to some of the other guests which was how he worked out who I was. Itâ€™s a small world!! Mark takes his fishing very seriously & had already booked up to go on his own. He suggested we could split the costs .... I jumped at the chance. It cost a whopping $240 each but it was going to be one of those experiences I knew I would really enjoy. It was a early start with us meeting at 5am in reception. Pretty soon we were on our way. The weather was perfect & the sunrise was just as amazing as the sunsets. The sea was like a milk pond. According to Mark, that was not the best condition to go fishing. It was around an hour & a half before we the rods picked up their first bite. 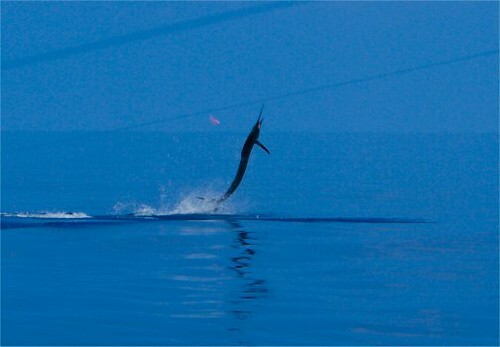 Mike went first to show me how itâ€™s done & hooked a very large 4ft Wahoo. Then it went all quiet for over an hour. We spotted dolphins quite a few times and lots of ripples in the water which were large shoals of Tuna. 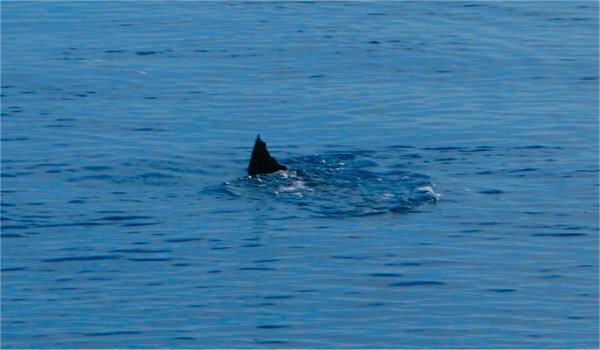 At one point, Mark pointed out a fin in the water which was circling. I assumed it was a playful dolfin, but Mark said it was a Sailfish and you could identify it by the jagged back of its fin. Then it all went off .... one of the reels flew off (it was like something from Jaws). I got into the chair & strapped my self in. I didnâ€™t realise how tough it was trying to reel in one of these magnificent creatures .... my arm started to ache & I started to really tire. Around 2 minutes is all I lasted until the line snapped .... gutting!!! The next bite wasnâ€™t for another hour & a half & it was Marks turn to take to the chair. 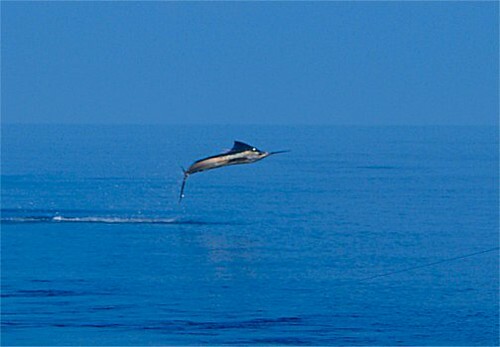 As Mark started to reel in around 40 meters away, a Sailfish leaped out of the water again & again. I managed to get quite a few shots. 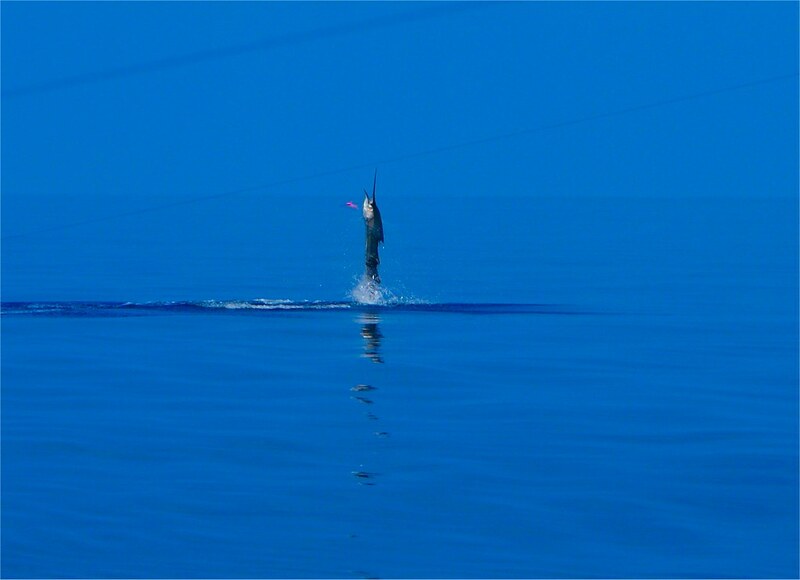 Mark battled for over 20 minutes with another large Sailfish & got it close enough to the boat so that we could make it out itâ€™s amazing colours under the water surface. But sadly, the line went limp & we lost it. I could tell Mark was really upset. But it was an amazing experience I will never forget. 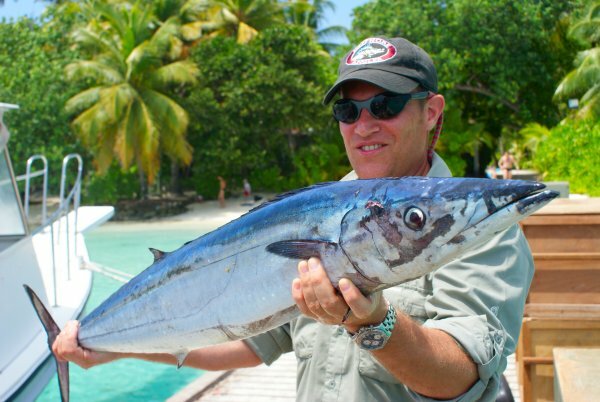 When we got back to Kuramathi, Mark stood proud with his catch which was also served up for dinner that evening by the kitchen chefs. 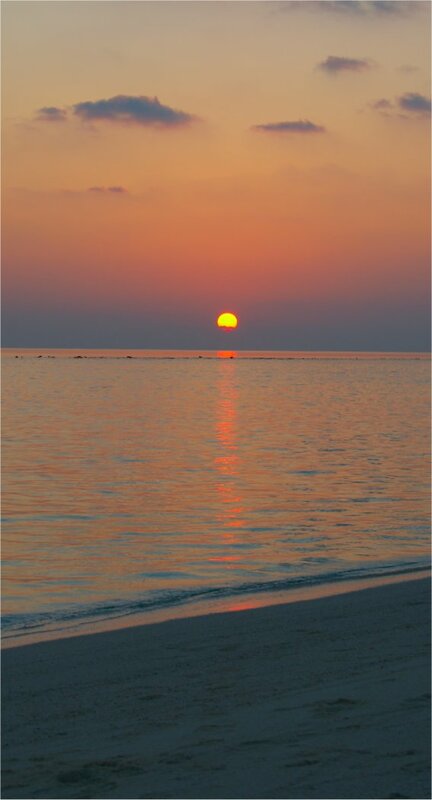 The Maldivian sunsets were as amazing as ever. 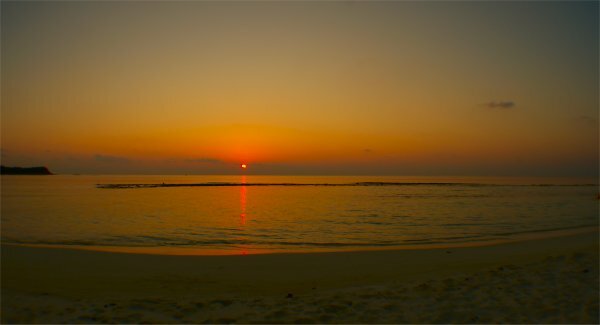 We would also try & gather at the West side of the island (The Blue Lagoon) to see the stunning sunsets. Sometimes you just want to pick that sun up & put it in your pocket & bring it home .... if only!!! We were so lucky. 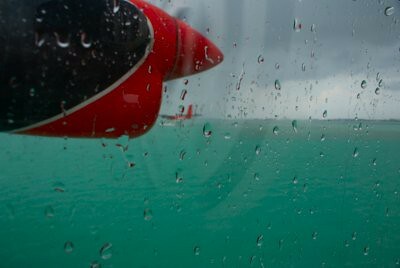 Apart from our seaplane transfer & one night of rain (which we slept through), we had perfect weather with a few days of milk pond sea conditions. Would we return to Kuramathi? If I spotted a bargin, then yes I would jump at the chance. 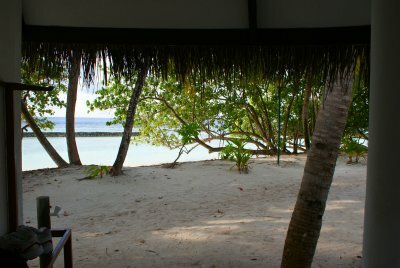 But I also want to see much more of the Maldives & when we return, we will more than likely try a new island to explore. Hope you enjoyed our little trip report . Feel free to leave a comment or ask any questions. Great trip report and photos Chas, thank you for sharing! 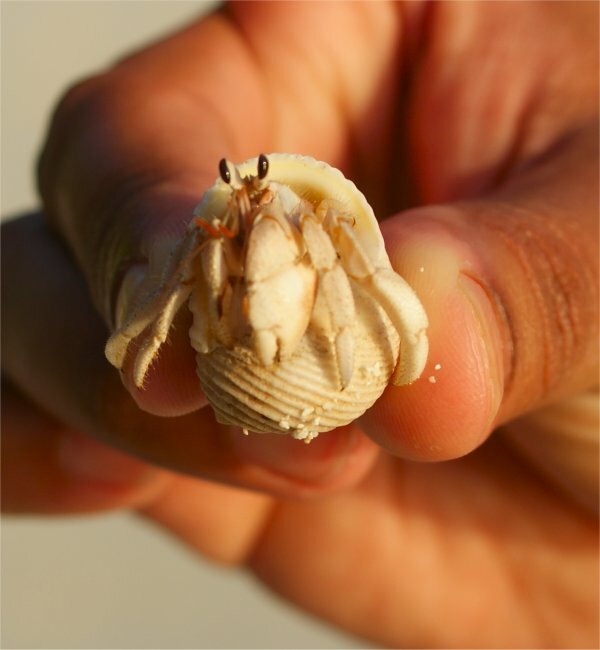 It is always great to hear about other islands in the Maldives. When we first went to the Maldives in 2004 it was a toss up between Veligandu and Kuramathi Blue Lagoon but Veligandu won in the end. It is interesting to read about what Kuramathi would have been like. 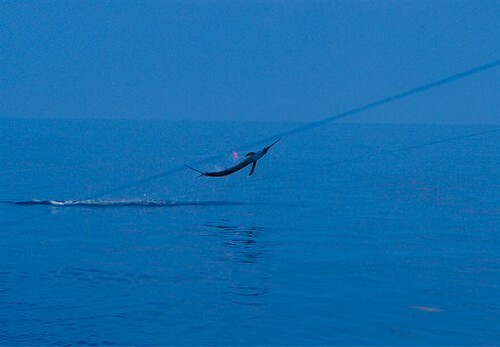 Some wonderfull photographs, my favourite has to be the herron and shark one. Lovely report. It's really interesting to read about other resorts. 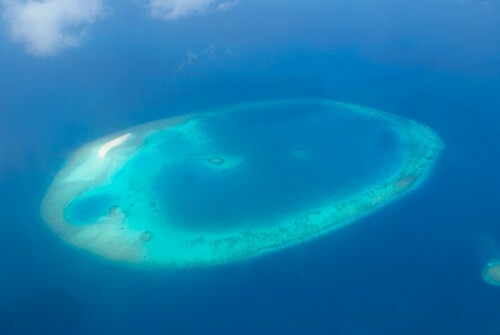 I don't know about anyone else but I find it really scary about thinking of going to any other resort in the maldives as Meeru is so good so its really helpful to be able to read comprehensive reports such as this. Thank you. Many thanks for a great report Chas and super photos. 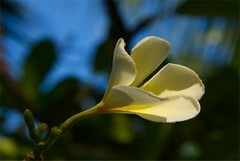 As others have stated it is good to hear about other Maldives Islands. Hi great review it really took me back to when we visited Kuramathi in 2006 , it is a beautiful location and we met some wonderful people whilst there and I remember one of the bar staff who would mix us one of his special kuramathi cocktails . Great stuff Chas, as ever highly useful informative reporting and so well illustrated too I am really loathe to choose a favourite picture...I think it's a photo finish, as it were, between at least six of them! 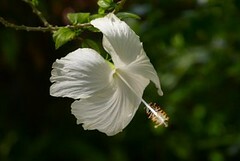 The flora and wildlife shots are great, sail fish shots are magnificent, and I'm very fond of Shark-v-Heron also. 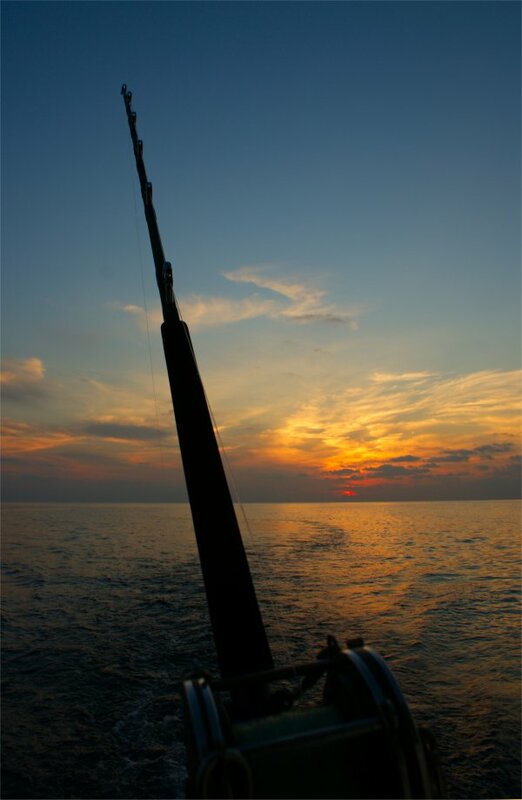 I particularly like the sunrise with fishing rod, and all the sunset ones work for me too. Composition and colour rendition is brilliant all round. All the best to Maxi, Alisha and Kung Fu Dillan ! 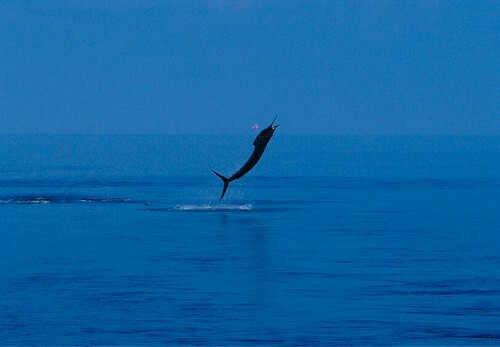 Great pictures Chas, loved the fishing rod for its overall composition but the last sail-fin picture coming straight out the water has to be my favorite for the sheer capturing of such a fantastic moment. It's because of HJ that I started to get into photography on my hols .... trying to capture those special moments on camera can be quite therapeutic. Sadly, the prices to go to the Maldives are getting to the point of extortion & I'm not sure my family of 4 can afford to go back just yet. 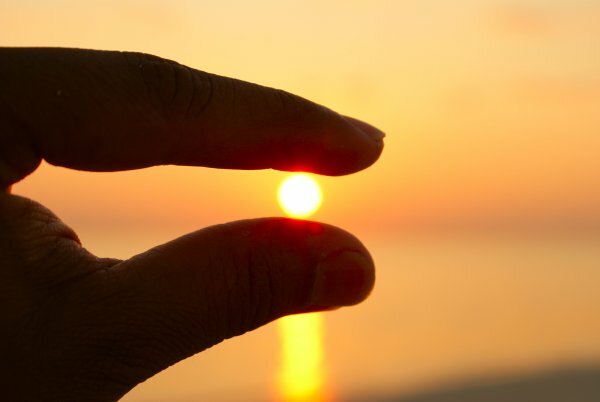 Very late look at this but LOVE the photo of you holding the sun in your fingertips!